Demolitions are a large component of refurbishment and redevelopment projects and can often bring up a whole host of environmental issues. In order to conduct an environmentally sound demolition, various measures need to be taken, including an extensive pre-demolition environmental audit, the salvaging and recycling of useful materials, and the proper disposal of waste. 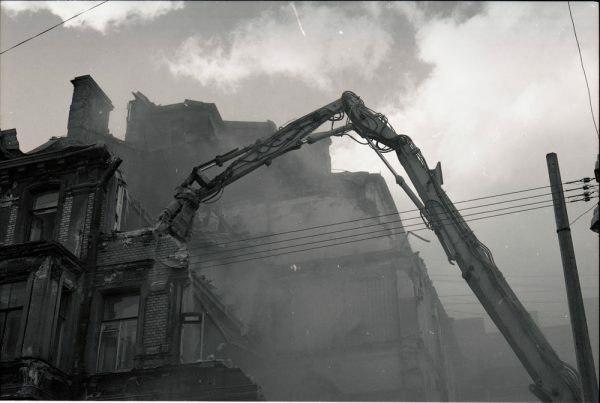 In this blog we take you through each of these necessary steps, so as to lessen the environmental impact of your next demolition project. A mistake made by many re-developers is the demolition of an entire site without any attempt to salvage valuable components of the original structure. Considering over 40% of Australia’s construction waste ends up in landfill, it’s important to salvage and reuse as many viable materials as possible. The three basic steps of asset recovery are identifying value, redeploying reusable items on site, and on selling valuable materials that can’t be used on site to a third party. Valuable materials you may find during the demolition process include: asphalt shingles, timber, steel, drywall, and glass and windows. As a waste generator, you are legally responsible for ensuring your waste is properly disposed of at a facility that can lawfully accept it. You will usually have to outsource the waste disposal process to waste transporters, sub-contractors or waste facilities, so it’s imperative that you retain copies of all records and documents throughout the waste disposal process. Use your previously obtained environmental audit to properly manage all waste disposal. Demolition projects come with a lot environmental responsibility, which is why it’s so important to conduct an extensive environmental audit prior to the demolition date. Alpha Environmental are environmental consultants and can provide a detailed environmental audit before any of your demolition or refurbishment projects.